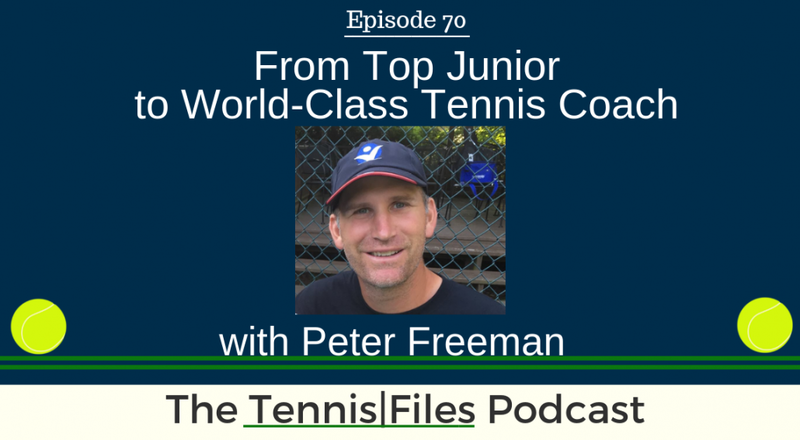 On Episode 70 of The Tennis Files Podcast, I spoke with my good friend Peter Freeman about his journey from a top junior to teaching tennis players worldwide how to level up their tennis games. Pete is the founder of Crunch Time Coaching, and does an amazing job of creating tennis videos and other great content to help players improve their technique, strategy, and many other parts of their game. We talk about everything from Pete's development as a junior player, to how he got into coaching and the online tennis instruction space, and a ton of awesome tips on how we can improve and get more power on our serve, backhand, and volleys. This episode is a really fun and value-packed one, and I highly encourage you to hit the play button above to listen to it! In addition to running Crunch Time Coaching, Pete has a long list of credentials that makes him one of the top coaches in the business. Pete has coached division 1 college tennis players, produced state level and national champions, and has been awarded the honor of USTA Georgia Pro of the year. Pete also creates tons of fantastic tennis content on Youtube and I highly recommend you check out his Youtube Channel. He has coached under Tony Palafox, who was John McEnroe’s former coach, and Frank Brennan, a former Stanford University Coach who won 10 national titles. Pete has a huge passion for tennis and will do whatever it takes to get your game to the next level. Pete gave an amazing presentation on how to hit a monster topspin forehand on last year’s Tennis Technique Summit, and one on Slice Serve Strategy on this past year’s Tennis Summit 2018 that I hosted. If you haven't already, you can go to those links to check them out for free! Pete also hosts Tennis Con, an annual online tennis conference with some of the best names in the business like Gigi Fernandez, Rick Macci, Jeff Salzenstein, and many more! On top of all that, he is the Director of Tennis at Gold's Gym in Atlanta. It was a pleasure speaking with Pete on the podcast, and I know you'll really enjoy this episode and learn a lot about how we can improve our serve, backhands and volleys, and what it takes to become a great tennis coach. Many thanks to Pete for coming onto the podcast! Let us know what you think about this episode in the comments below! [32:47] What caused you to want to take your coaching to the online world and create Crunch Time Coaching?